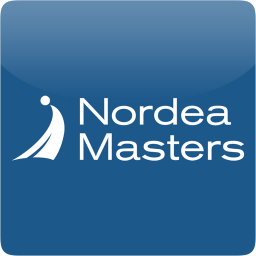 Scandinavian Masters is a European Tour professional golf tournament also called as Nordea Masters a it is sponsored by Nordea. Here is given information regarding the history, winners and venue of this golf tournament. Scandinavian Masters is a Golf tournament played on European Tour in Sweden mostly in the months of July and August. It is a Strokeplay format tournament held annually from its establishment in 1991. The tournament emerged in 1991 as Scandinavian Masters, when Scandinavian Enterprise Open (SEO) and PLM Open merged together. From 1995 to 2002, it was called as Volvo Scandinavian Masters. From 2003 to 2005 the tournament was sponsered by Carlsberg and named as Scandinavian Master by Carlsberg. Nordea is the current sponsor of this tournament. Currently the tournament is identified as Nordea Masters. The venue of this tournament is Bro Hof Slott Golf Club at Sweden whose length is 7,365 yards. Currently the tournament offers 1.5 million euros Prize money which one of the lowest at European Tour. Colin Montgomerie of Scotland was the winner of the inaugural edition of this tournament in 1991. He won this tournament for record three times. Lee Westwood of England and Jesper Parnevik of Sweden are other two players who has won the Scandinavian Masters multiple times. In 2011 Alexander Noren of Sweden won this tournament. In 2005, Mark Hensby of Australia made a record score of 262 for this tournament.